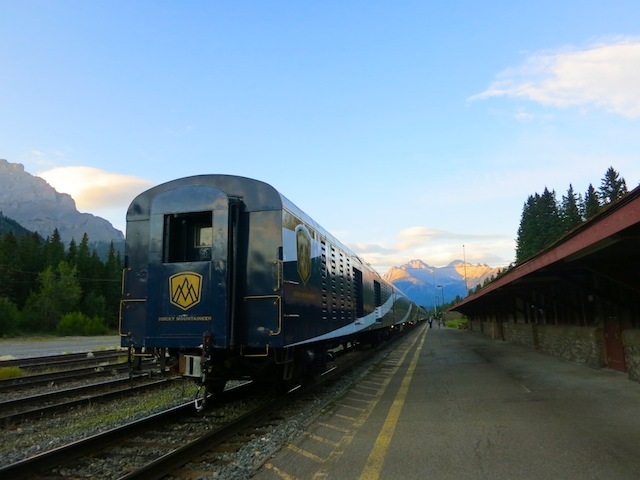 Do you salivate over luxury trains and the sight of the Canadian Rockies? A Rocky Mountaineer rail trip might be for you, but which itinerary should you take? Read on to learn more about the different Rocky Mountaineer scenic train routes you can choose from. As a Rocky Mountaineer brand ambassador, I’ve been on all the routes except Seattle to Vancouver. This post is a wrap up of the various Rocky Mountaineer scenic routes, and will hopefully answer any questions you may have about the various luxury train trips. All my journeys were sponsored, but the opinions are my own … because I’m opinionated. What are the different Rocky Mountaineer scenic train routes? How much does the Rocky Mountaineer cost for the First Passage to the West trip in 2019? How much is a ticket for Rocky Mountaineer on the Rainforest to Gold Rush trip 2019? 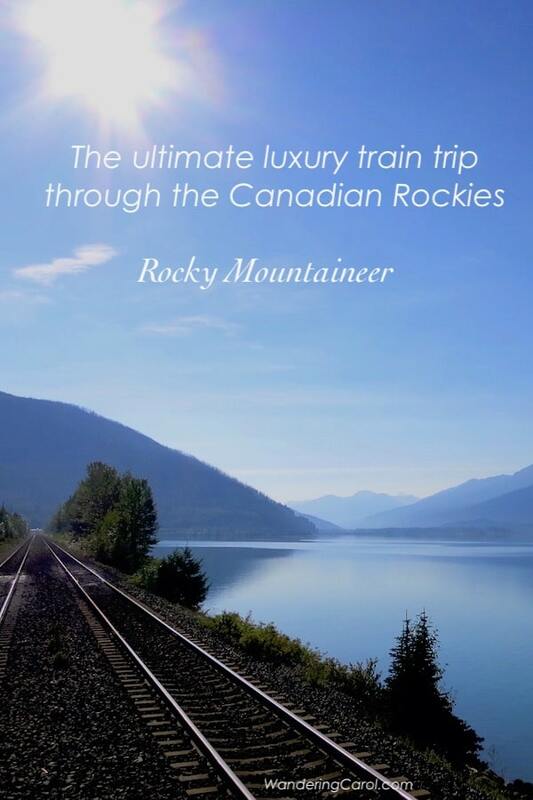 What is the Rocky Mountaineer? 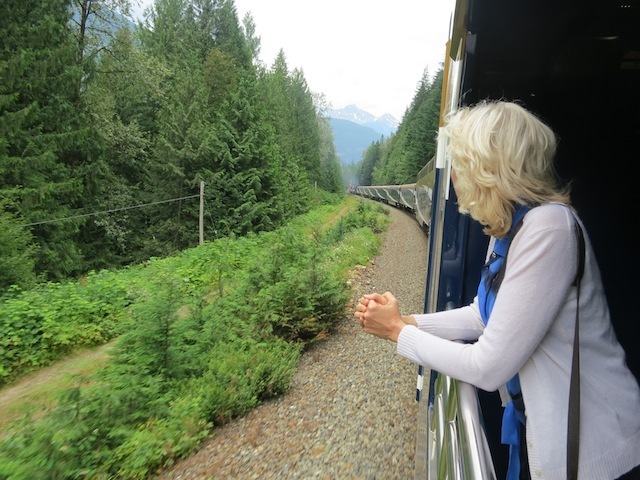 How do you travel on Rocky Mountaineer? 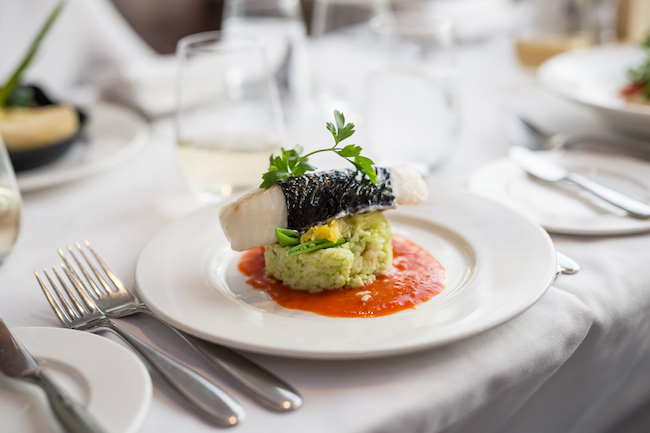 What will you eat on the Rocky Mountaineer? Where do you sleep on the Rocky Mountaineer? What’s the downside of travelling on the Rocky Mountaineer? How much does the Rocky Mountaineer cost? Rocky Mountaineer’s flagship route is The First Passage to the West, which travels from Vancouver to Banff (or to Lake Louise or Calgary, or the other way around all together). It’s a unique train journey, and it’s the only way you’re going to ride these tracks, because today, in the sadly declining ways of train travel, Rocky Mountaineer is the only passenger line that plies this scenic train route – unlike the days of yore when trains were the main form of transport in Canada. I say bring back the golden era of yore! 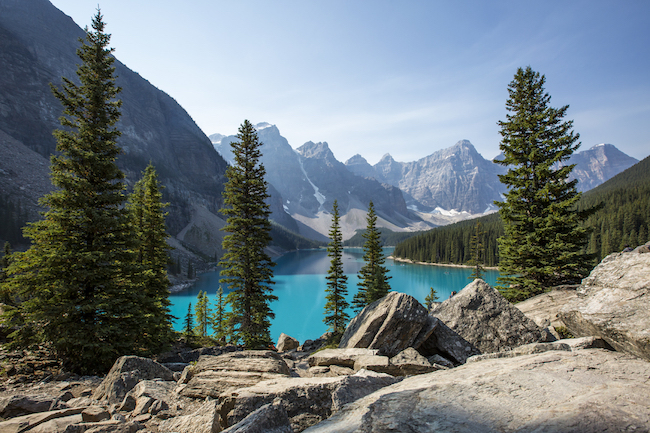 A 3-night, 4-day Classic First Passage to the West vacation from Vancouver to Banff starts at $1949 Canadian in SilverLeaf for 2019 and at $2,649.00 CAD in GoldLeaf. This includes a night in Vancouver and Banff. Learn more about the different scenic routes on the Rocky Mountaineer website. The Journey through the Clouds route goes between Vancouver and Jasper with an overnight in Kamloops. I’ve written a separate review of that trip if you want more information. Jasper is a little sleepier than Banff, a little more out of the way, a little more local. The train trip itself is another classic scenic route that highlights some of the best views in the Rockies. A 4-night 3-day Classic Journey through the Clouds package ranges from $1,899 to $3,649 CAD. Rocky Mountaineer’s Rainforest to Gold Rush route trundles (and I’m using the term ‘trundle’ literally, because the Rocky Mountaineer never goes more than 40 km an hour) through the Caribou and Chilcotin areas between Whistler and Jasper. I savoured this trip because it’s off the beaten track (though not off the train track obviously) and travels through Quesnel, a town I’d never heard of, but which played a big part in the Cariboo Gold Rush. A 4-night 5-day Classic Rocky Mountaineer Rainforest to Gold Rush vacation starts at $2549 CAD in SilverLeaf and $3649 CAD in GoldLeaf Service. 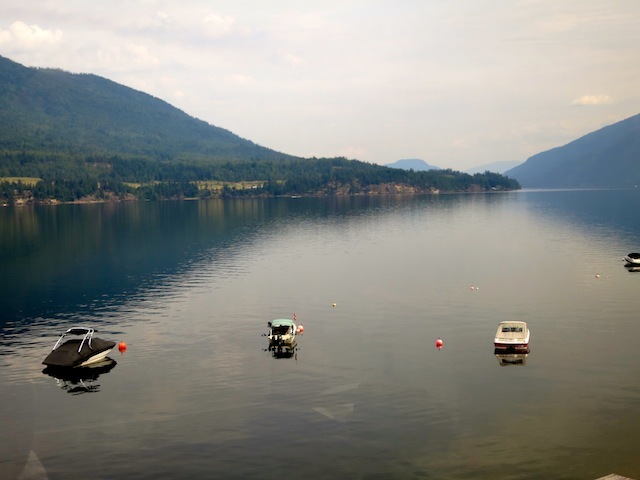 Rocky Mountaineer has a scenic train route called the The Coastal Passage that adds a Seattle to Vancouver leg into one of the Rocky Mountaineer trips. Let’s give a cheer for cross border travel and intercultural relations. A Classic Coastal Passage combined with a First Passage to the West route includes Seattle, Vancouver, Kamloops, Banff is a 5-night 6-day trip. For the basic package prices range from $3,349 to $5,049 CAD. 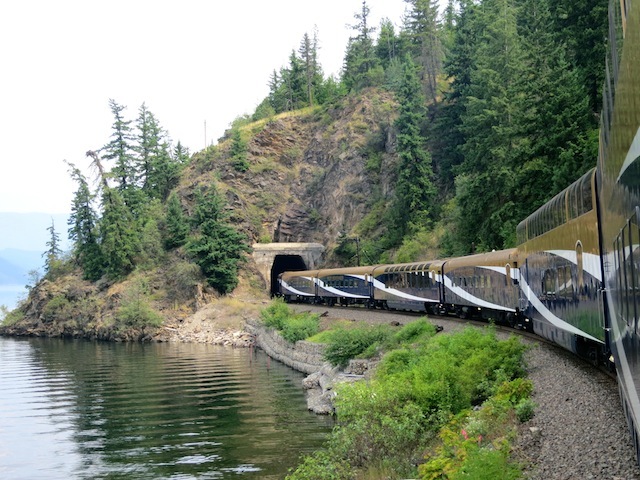 Tip: Before you book check out Rocky Mountaineer’s Special Offers for savings and promotions. Waiting to board Rocky Mountaineer in Vancouver I was excited about many things: the caffeine in the station lobby, the possibility of seeing WILDLIFE, the certainty of seeing MOUNTAINS and the bagpipe music that was giving us a big sendoff. 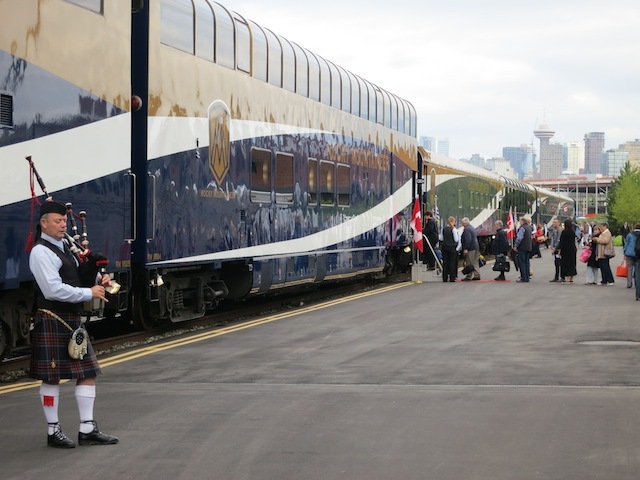 (While in retrospect I’m not sure how bagpiping fits into a luxury train ride through the Canadian Rockies, but it was just after 7 a.m. and too early to question anything as I got ready to head off on The First Passage to the West, one of four Rocky Mountaineer scenic train routes. Boarding the Rocky Mountaineer train was a breeze because I didn’t have to carry my own luggage. I was told it would magically appeared at the end of the first day in my hotel room in Kamloops. As long as I had my camera, lipstick and a book I was set to go. But who needed a book? As soon as we chugged out of the city my main occupation was staring out the window, because the scenery on this Vancouver to Banff train trip was a page turner in itself – only instead of a whodunnit, it was a whereizit, because at every bend I was peering outside looking for a bear, moose, eagle or osprey. Spoiler alert: I never saw a bear. I did, however, see mountain sheep, a deer, one elk’s behind, a number of soaring eagles, countless ospreys … and someone else saw a marmot. Spoiler alert #2: My wildlife photos quickly became the laughing stock of our GoldLeaf car. Feel free to laugh, cry and shake your head in dismay at my riveting photo exhibit of Wildlife in the Canadian Rockies on the Rocky Mountaineer. But that’s another post. Yes, here is a definitive Rocky Mountaineer travel guide with all (or at least some!) of your Rocky Mountaineer train trip questions answered. Rocky Mountaineer is the largest privately-owned passenger train service in North America. It’s a luxury train experience made up of various scenic routes through the Canadian West and the Canadian Rocky Mountains. The trip takes place during daylight hours so you don’t miss any of the spectacular landscape. Instead of sleeping onboard, you stay in hotels en route. Confused about all the Rocky Mountaineer packages? This article should help you out. Happily. 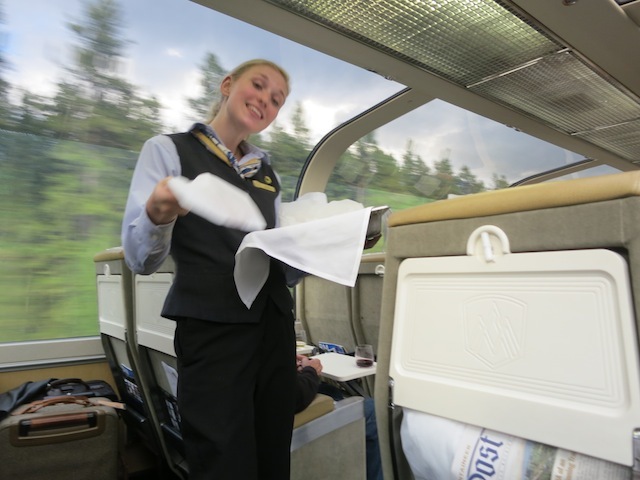 There are two types of service on the Rocky Mountaineer: GoldLeaf and SilverLeaf. I was in a GoldLeaf car. 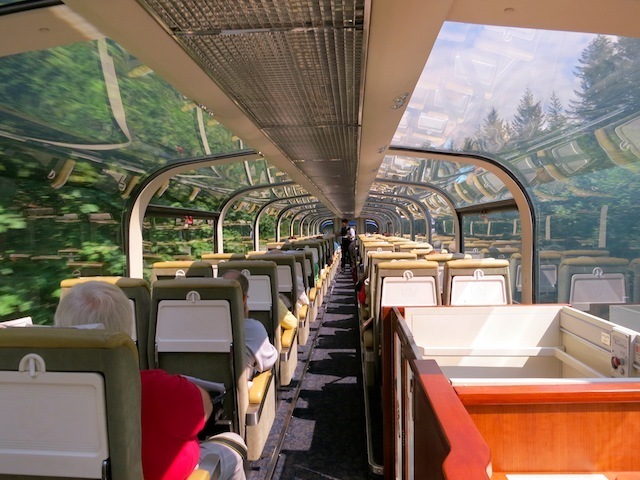 It’s the most popular Rocky Mountaineer category because it’s a double-decker car with a glass domed roof, so you can sit above the trees and see everything from lofty glaciers to low-lying bears. (Except I didn’t. See one. A bear.) It is, however, the most expensive category. SilverLeaf is a single level car but it also has oversized dome windows to catch the best views. Both GoldLeaf and SilverLeaf service offer outdoor viewing areas, though the area in GoldLeaf is much larger. Can you feel the wind in your hair? Why, yes! The best thing about the GoldLeaf car is the Vestibule, an open air viewing car, so that pine-y smells and wind rushing past your ears become part of the experience. Also, then you don’t get a glass reflection when you take photos of an osprey nest on a telephone pole. Fun wildlife fact: Ospreys like to decorate their nests and return to the same one year after year, so if you should see a big nest with flashing Christmas lights, pink ribbons and a neon sign for a Las Vegas Casino, you’ll know who, or what, is nesting inside it. You’ll see ponderosa pines, Douglas firs, and every other pine-ish looking tree you can think of. 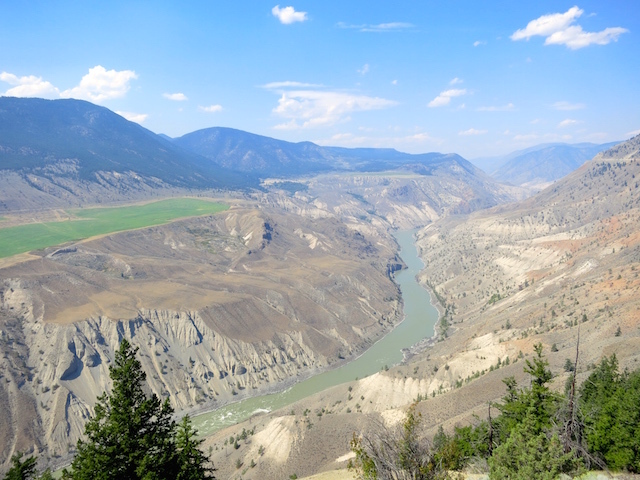 Hell’s Gate – where a fierce amount of water muscles its way through the Fraser Canyon at its narrowest point. 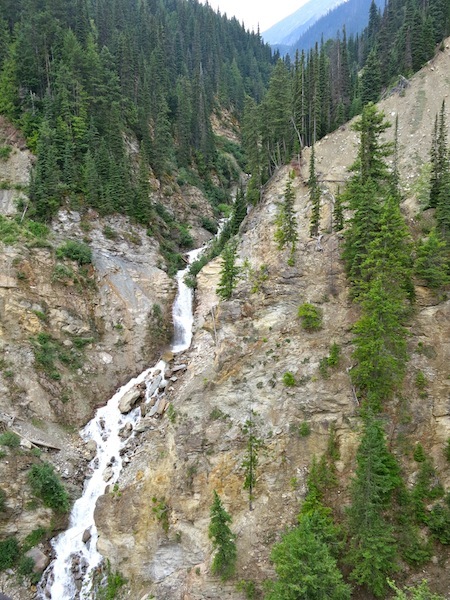 Rogers Pass – This is a high mountain pass through the Selkirk Mountains that was discovered, unsurprisingly, by a man named Major Albert Bowman Rogers. The Spiral Tunnels in Yoho National Park – Let’s hear it for this set of long twisty tunnels that curve their way through the mountains. I know they’re supposed to be an engineering marvel and a big super highlight, but as it’s completely dark in there, it’s not as exciting to go through them as it would be if you were say, an osprey watching the train head into the mountains from above, all the while laughing because humans can’t fly and have to dynamite their way through things. The Continental Divide – This is the point where water decides to drain into either the Pacific or the Atlantic. Kicking Horse Pass – You don’t want to miss this mountain pass named for the cranky horse that kicked explorer and geologist James Hector unconscious after he ran after it (thus discovering the pass). Mountains! Glaciers! Rivers! 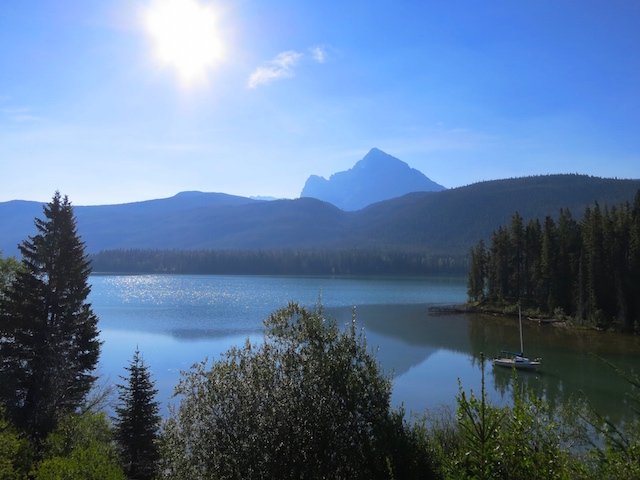 This scenic Rocky Mountaineer trip is all about the dramatic views of the Rockies. And did I mention you’ll see pine trees? Can’t decide between Banff and Jasper? Quesnel and Kamloops? Lake Louise? Learn about the different Rocky Mountaineer destinations. Too much. 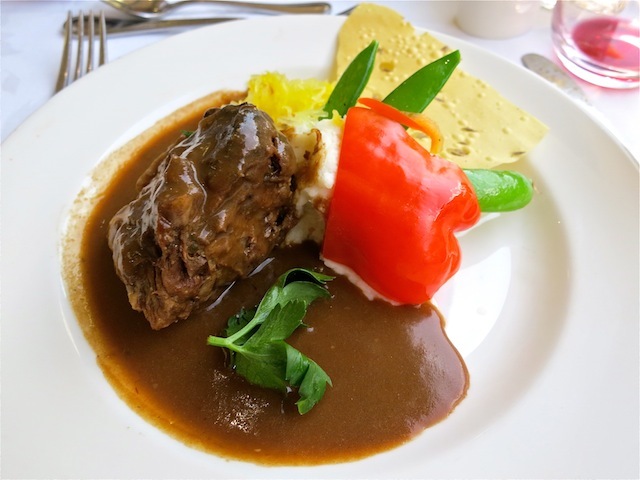 The Rocky Mountaineer takes its cuisine seriously, focusing on regional dishes such as Rocky Mountaineer Barley Risotto with roasted button mushrooms and wilted greens, or Last Spike Beef Short Ribs with Alberta beef. The salads were divine. I would have licked the vinaigrette off my plate if it hadn’t been a luxury train trip and hadn’t been minding my manners. You have breakfast and lunch on the Rocky Mountaineer. If the train is delayed (by lots and lots of freight trains passing), you will also get a light dinner so that you don’t get as cranky as James Hector’s horse. I don’t want to spoil the surprise, but at some point between meals a freshly-baked oatmeal cookie might pass your way. Make way for the freight! What will you drink on the Rocky Mountaineer? Cocktails as soon as breakfast ends. Local wines. My new favourite white is a Sumac Ridge Estates unoaked Chardonnay from Summerland in BC. You don’t, unless you have too much unoaked Chardonnay at lunch and take a nap in your seat. To make use of the daylight viewing ops, you don’t travel by night. The First Passage to the West and Journey to the Clouds stop in Kamloops, while the Rainforest to Goldrush route overnights in Quesnel. Who wants to sleep when you can stare out the window? 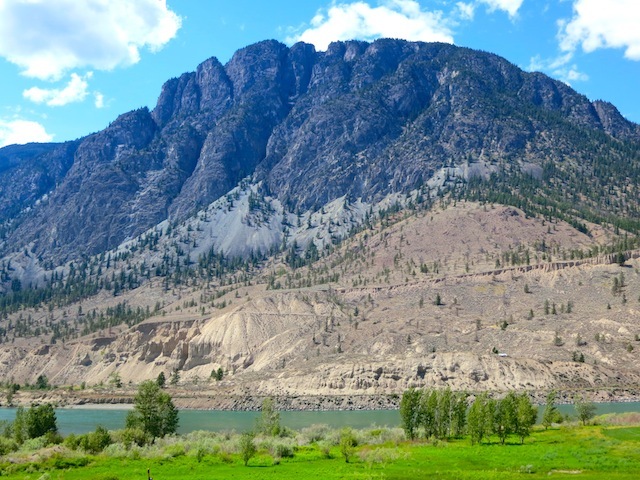 Kamloops, a modest-sized city in British Columbia, is a fun stop. According to Wikipedia, it’s the tournament capital of the year, with more than 100 various tournaments ranging from pickleball to slo-pitch. Who knew? 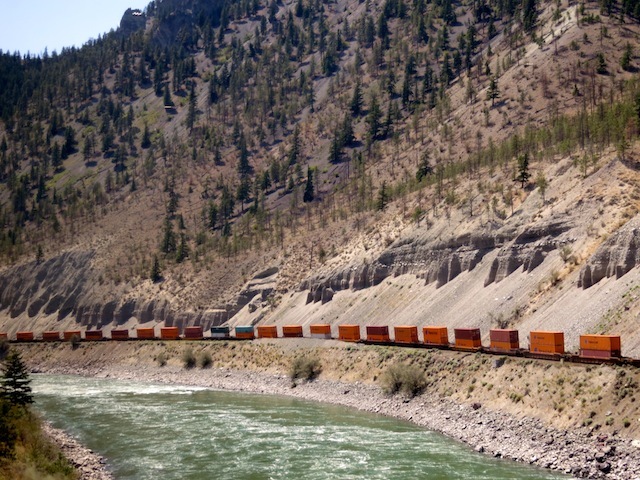 Here’s what I like about sailing into Kamloops on Rocky Mountaineer. 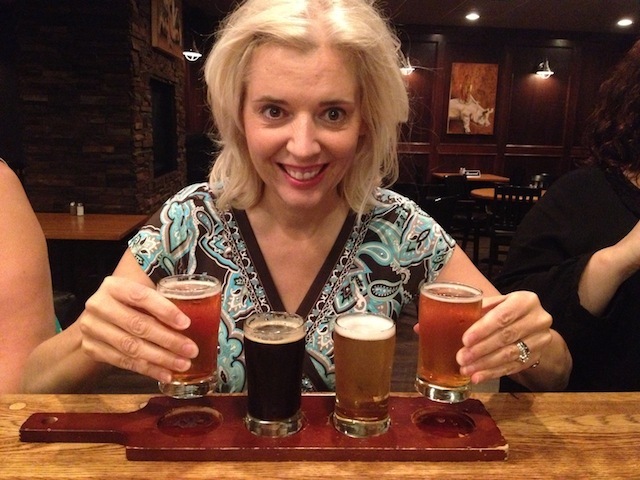 Craft beer at the Noble Pig. I wanted to try a Witless Blonde but they were out so I ordered a tasting selection of Fascist Pig, Imperial Pig, Mocha Porter and Ginger. Free evening concerts in the Riverside Park. What’s not great about Kamloops? Okay, Kamloops, here’s the thing. Having heard you have a surprising amount of excellent dress shops on your main street, I dashed out with credit card in hand as soon as we arrived, and it’s true. You do have the shops. But they were all closed. You have a captive audience on the Rocky Mountaineer, people who are starved for shopping, so keep the shops open an extra hour, will you, otherwise people such as I will be forced to buy 20 Rocky Mountaineer stuffed bears. Solution for early morning can’t-get-out-of-bed-ness: Think of all the things you might see that morning on your scenic train trip (bears!) and the delicious things you will eat at breakfast (Eggs Benedict!) and lunch (Sockeye Salmon!) and this will help propel you out of bed. On the plus side: If you’re a seize the day and get up early type of person (I’ve heard such humans exist) an early start is a bonus. If you’re on the train all day how can you stretch your legs? 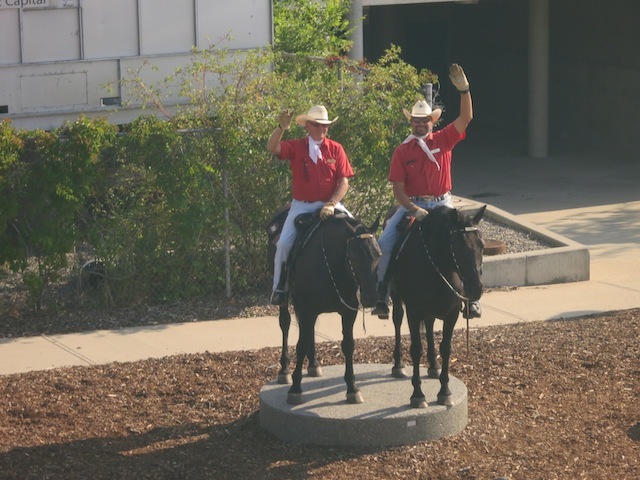 Trot out to the outdoor viewing area regularly. 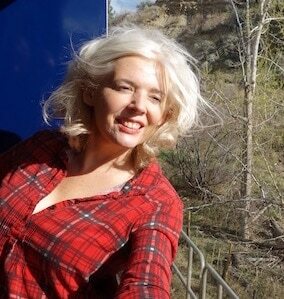 Bound from side to side of the train car along with everyone else as scenic landmarks come into view. If you’re in GoldLeaf service, tramp up and down the stairs obsessively. Carry your camera at all times so you always look purposeful even if you’re aimlessly wandering up and down the car. A 3-night, 4-day Classic First Passage to the West Vacation from Vancouver to Banff starts at $1949 in SilverLeaf. Visit the Rocky Mountaineer website for more information on train prices, schedules and itineraries. What makes the trip unique? Because slow travel is the way to go. Whichever Rocky Mountaineer route you take, rail journeys have a romance that no other mode of transport can beat (except maybe for pioneer covered-wagons through the wilderness or yacht voyages through the Mediterranean). Plus you’ll meet lovely people – the camaraderie is intense (at least after the first cocktail). Then there’s the food, the service and the lazy luxury of it all … and the ospreys. When it comes to scenic train routes, Rocky Mountaineer is one-of-a-kind. Why take the train? Top experiences only a rail ride can provide. Planning a trip to Canada? 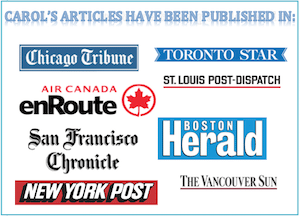 Visit my Things to do in Canada article. Wondering what to do in Vancouver before your trip? Read One Day in Vancouver. With a man who is not my husband. 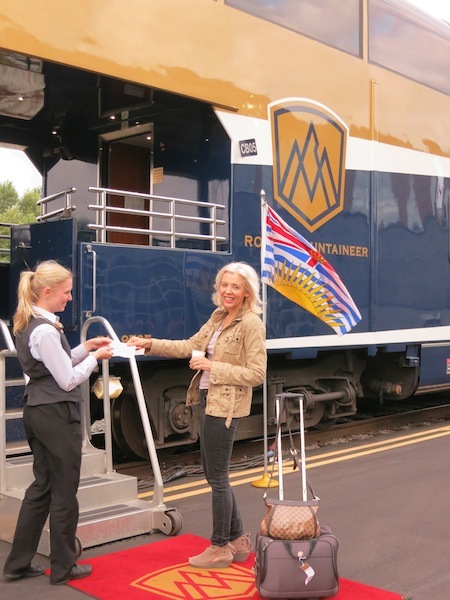 Read more about my time as a Rocky Mountaineer brand ambassador.